Don’t let a summer barbeque derail your diet – stick to your plan with these healthy Fourth of July tips. Summertime, and the Fourth of July in particular, is prime time for parties and barbeques. That means it’s also prime time for hot dogs, mayo-laden “salads” and ice cream. 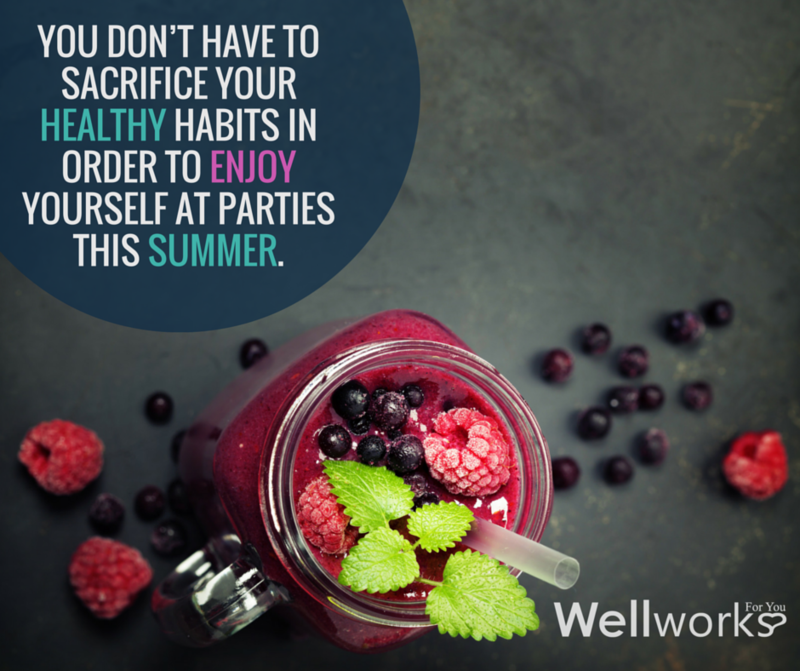 But, you don’t have to sacrifice your healthy habits in order to spend time with your friends and family at parties this summer. We’ve got plenty of healthy Fourth of July snacks and tips to get you through barbeque season with your beach bod intact. Don’t “Save” Calories: When you know you’ve got a barbeque to attend later, don’t skip meals earlier in the day to “save” up for it. This will only lead to overeating and poor food choices due to hunger and low blood sugar. Use Small Plates: Studies have shown that people who eat from smaller plates consume less food (sometimes up to 50% fewer calories!) yet feel just as full. Steal a plate from the dessert table and use it for your main course. Eat in Order: Classic Fourth of July recipes tend to be full of fat and cholesterol, so load up on healthy foods first, like salad or grilled veggies. The fiber and water content in vegetables will fill you up, so there isn’t much room for less healthy choices. Go Easy on Dessert: Simply choosing a small slice of cake over a normal size can save hundreds of calories. Berries are in season, and make wonderful additions to the dessert table. Keep in mind that strawberries top the “Dirty Dozen” list as far as pesticide residue, so choose organic or wash berries very thoroughly. Choose Alcohol Carefully: A frozen margarita can pack 500 calories or more. Having more than one? That’s your entire recommended daily calorie intake! Stick to wine, and avoid sugary mixers. Now that you know how to traverse the treacherous barbeque season, let’s discuss some healthy Fourth of July recipes. After all, you can’t show up empty handed! Patriotic Popcorn: As far as snack foods go, popcorn is a much healthier alternative over chips and crackers. This recipe uses a smidge of food dye to bring red and blue hues to the sweet and salty treat. Pro tip: to avoid purple kernels, clean the pot after cooking each batch. Red, White, and Blueberry Yogurt Popsicles: No jello or gatorade here. The red, white, and blue hues in these pops come from their three simple ingredients – raspberries, blueberries, and Greek yogurt. They’re not only patriotic, but healthy too! What are your favorite tips for making healthy Fourth of July food choices? Feel free to share in the comments, and for more tips on avoiding the pitfalls of barbeque season, contact Wellworks For You today!